CG Says: The 2019 Chevrolet Camaro has revised front and rear styling. The SS replaces its optional 8-speed automatic with a 10-speed auto. 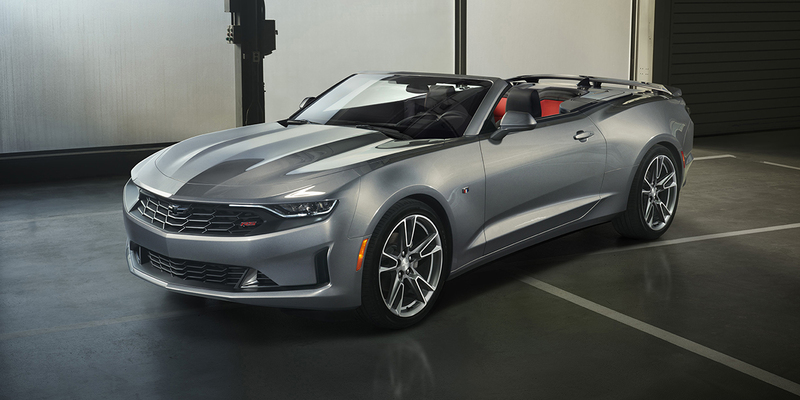 Chevy’s sporty/performance coupe and convertible were redesigned for 2016. 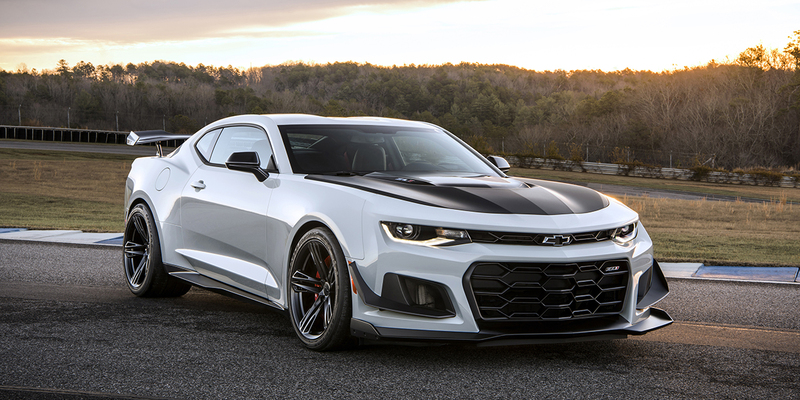 With its impressive roster of engine choices–a 275-horsepower 2.0-liter turbocharged four, 335-hp 3.6-liter V6, 455-hp 6.2-liter V8, or 640-hp supercharged 6.2-liter V8–the Camaro can be tailored to a range of sporty-car tastes and budgets. The new-generation Chevrolet Camaro is smaller, lighter, and more technologically advanced than its predecessor, and the addition of the ZL1 bolsters its already sterling performance credentials. Some testers grumble about the Camaro’s low, visibility-impeding roofline (a design characteristic carried over from the previous-gen Camaro) and stingy backseat/trunk space, but those quirks aren’t uncommon in this class. Camaro offers a compelling blend of technology, performance, style, and refinement–in any of its forms, it’s a worthy competitor to the arch-rival Ford Mustang, and a must-see when shopping sporty two-doors.